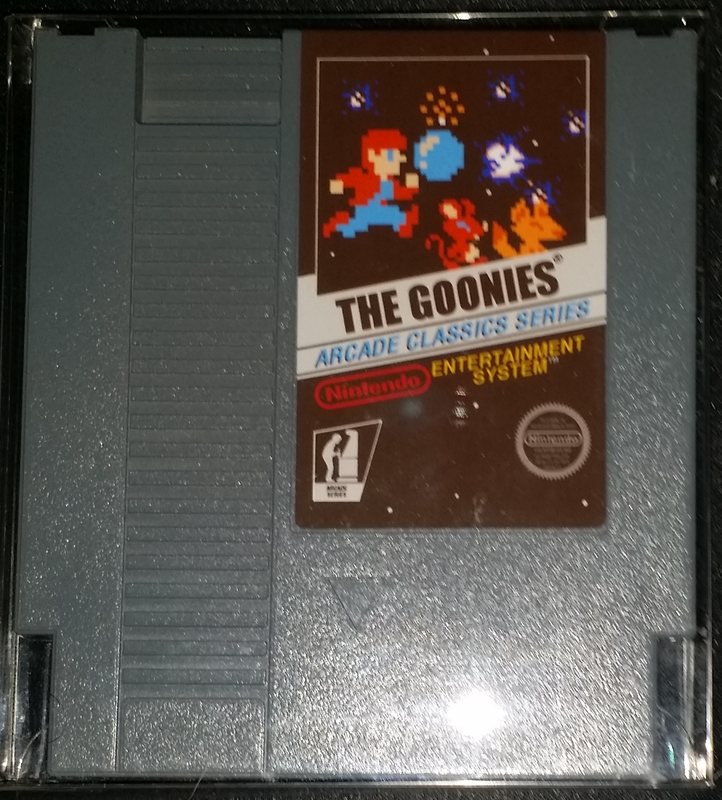 Originally released for the Famicon, The Goonies was never offically released in the U.S. The only reason I knew it existed at all was because it was in the Player’s Choice 10 arcade machine at a Pizza Hutt I frequented. It’s a reproduction and I’m kind of mad at myself for not getting the Konami syle label on it. I’m going to order the box and manual when I can find one I like.